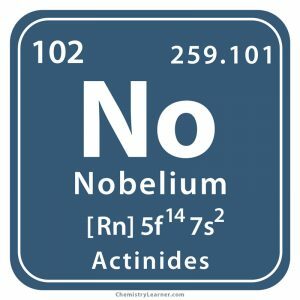 Nobelium (pronounced as no-BELL-ee-em) is a synthetic, radioactive metal belonging to the family of actinides, and denoted by the chemical symbol No . 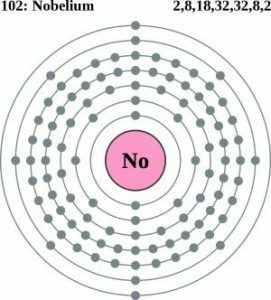 Its most stable isotope is nobelium-259 with a half-life of 58 minutes after which it undergoes decay into fermium-255 and mendelevium-259 through alpha decay and spontaneous fission/electron capture, respectively [1, 2]. 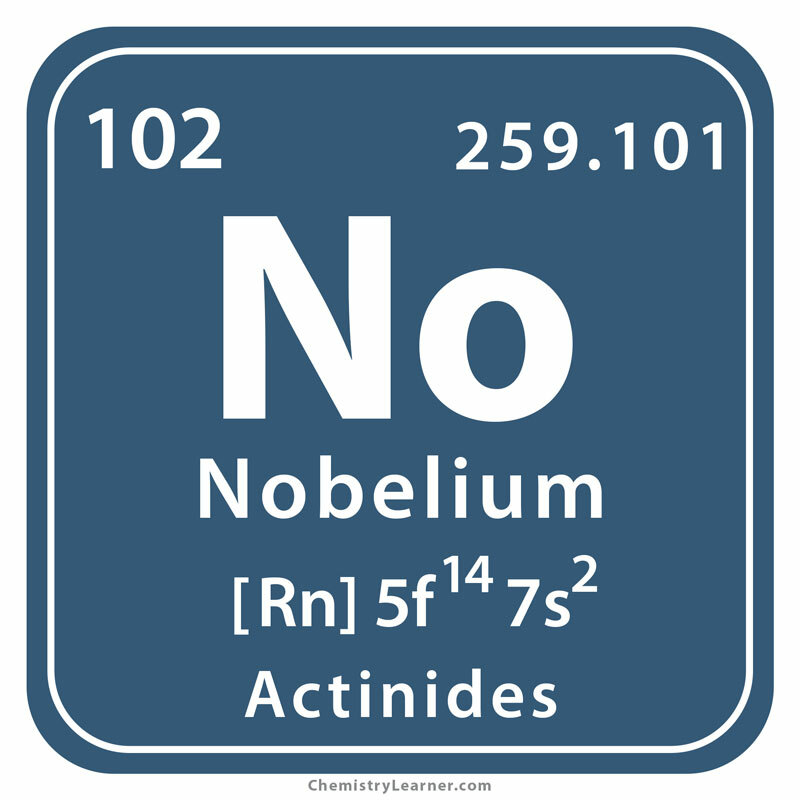 Origin of its Name: The element is named after the Swedish chemist and founder of Nobel Prize, Alfred Nobel . In 1956, at the Institute of Atomic Energy, Moscow, a team of scientists headed by Georgy Flerov bombarded plutonium with oxygen to obtain isotope-252 of the new element. However, nothing was officially declared at that time . In 1957, isotope-253 was synthesized by targeting carbon against curium at the Nobel Institute of Physics in Stockholm while in 1958 Albert Ghiorso claimed to have produced isotope-254 by bombarding curium with carbon. All these reports were challenged by the Russians . Again from 1962 to 1963, the Russian Joint Institute of Nuclear Research at Dubna produced isotopes 252 to 256 of the new element, but Ghiorso and his team still claimed to be the first discoverers. After several years of counter-arguments, the International Union of Pure and Applied Chemists went in favor of the Russian team . The element has no use outside basic scientific studies due to its short half-life . 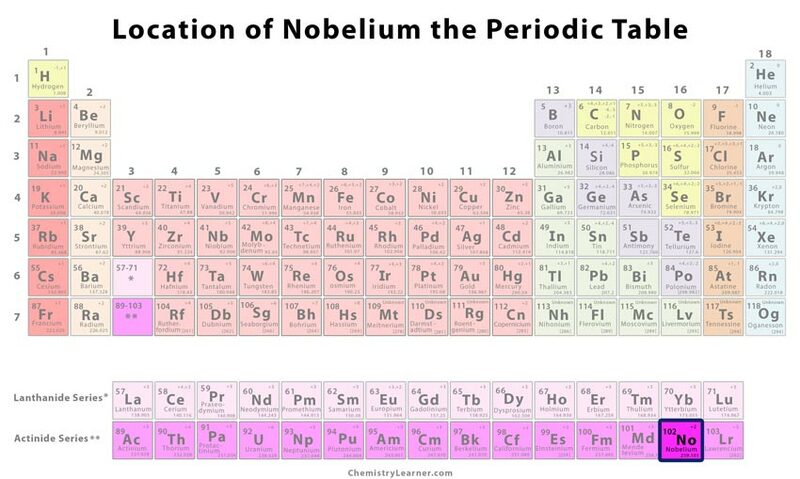 The image of nobelium is represented by a Japanese ideograph that holds several meanings like ‘master teacher’ and ‘noble’ . 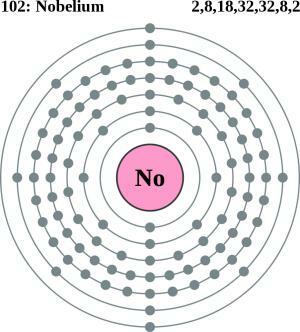 Since it is a radioactive metal, No cannot be availed outside of laboratory production.